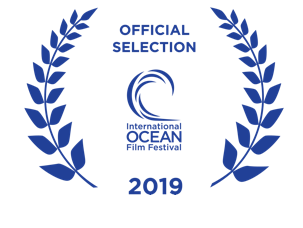 Out of hundreds of films submitted from around the world, a blue-ribbon panel of judges has just selected “Dispatches from the Gulf 2,” the newest episode in the television series, Journey To Planet Earth, for the 16th International Ocean Film Festival. Held in San Francisco on March 7-10, 2019, the festival is the premier venue in North America for ocean-related films, dedicated to increasing public awareness of the environmental, social, and cultural importance of marine ecosystems. The screening will take place on Friday, March 8 @ 1 pm at the Cowell Theater, 2 Marina Blvd, San Francisco, CA 94123. Get your tickets here. On April 20, 2010 the United States experienced the largest off-shore oil spill in its history. The Deepwater Horizon event also sparked one of largest coordinated oceanic research effort to understand and mitigate the impacts of petroleum pollution. Narrated by Matt Damon, “Dispatches from the Gulf 2” takes viewers on a roller coaster journey through the Gulf of Mexico — on research vessels navigating rough seas, and inside CSI-type laboratories in Europe and the United States — to demonstrate how science can help remedy even our most disastrous failures. Along the way we meet dedicated scientists trying to answer pressing questions: Why are so many bottlenose dolphins dying? Why haven’t Louisiana’s oysters fully recovered from the oil spill? What are the long-term health effects on giant creatures like the six-gill shark? Is it possible to forecast where and when oil will go after a deep ocean spill? “Dispatches from the Gulf 2” has been featured on PBS, broadcast in more than 30 countries, honored at dozens of film festivals, and used as an educational resource in more than 3,000 academic institutions in North America. Journey To Planet Earth is an Emmy Award®-winning television series that dramatizes new ways of looking at the delicate relationship between people and the world they inhabit. It is designed to help viewers understand the complexities of the most important environmental issues of the 21st century. Through an interdisciplinary approach, these programs reach beyond the physical sciences and draw connections to politics, economics, sociology, and history. “Dispatches from the Gulf 2” is the 15th episode in the series. “Dispatches from the Gulf 2” is made possible by a generous grant from the Gulf of Mexico Research Initiative (GoMRI). GoMRI’s goal is to improve society’s ability to understand, respond to, and mitigate the impacts of petroleum pollution and related stressors of the marine and coastal ecosystems.